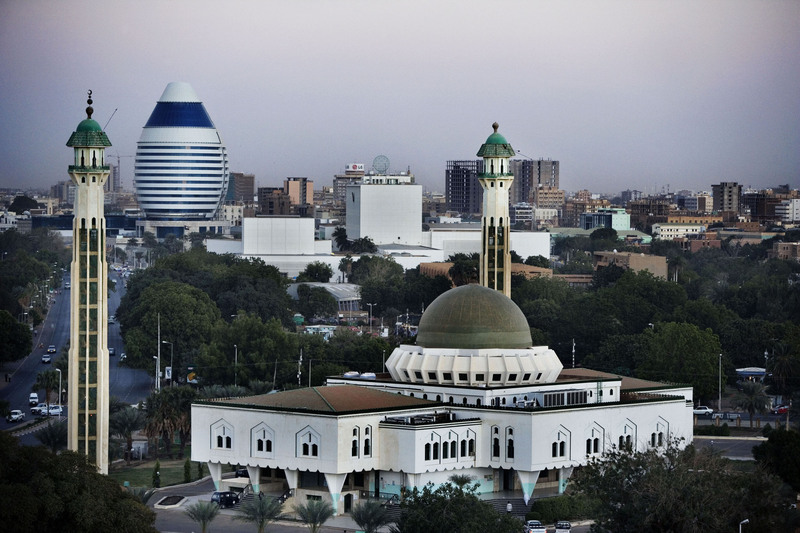 Khartoum, the capital of Sudan, lies at the converging point of the Blue and the White Nile and in recent years has been best known for the political turmoil which stems from it’s government. Within this war torn city, lies the largest commercial construction site in Africa known as the Al Mogran Project, which spans 1,500 acres, in a place known as Alsunut, which derives, it’s name from a nearby forest. 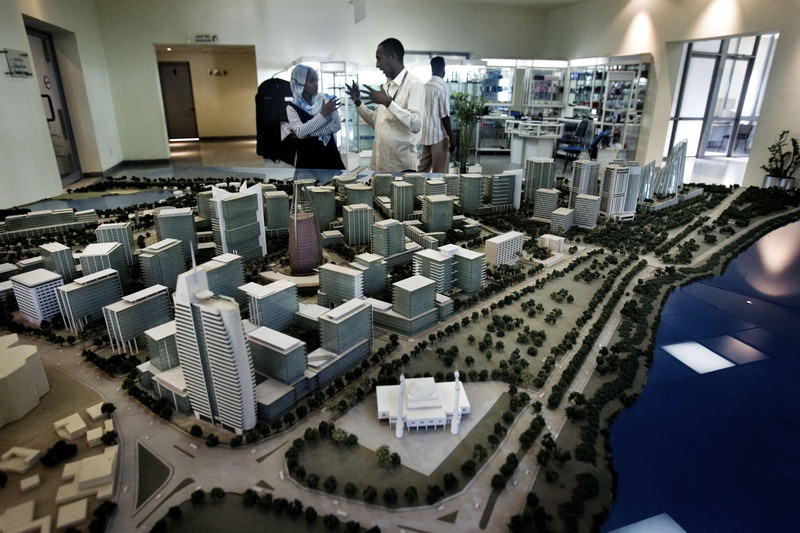 With the help of foreign Chinese workers the Sudanese Alsunut Development Company LTD, owned by the Dal Group, the first industrial group of the country is working furiously to develop a new Dubai-like city, which is to become the commercial and financial headquarters of Islamist East Africa. The site is to include multiple modern office towers, duplexes, and golf courses. The project is to cost $4 billion and it is scheduled to house both the headquarters of the Greater Nile Petroleum Operating Company, as well as Petrodar, both of which are Chinese, Malaysian, Indian, and Sudanese joint venture oil companies and will be completed within the next five to fifteen years. 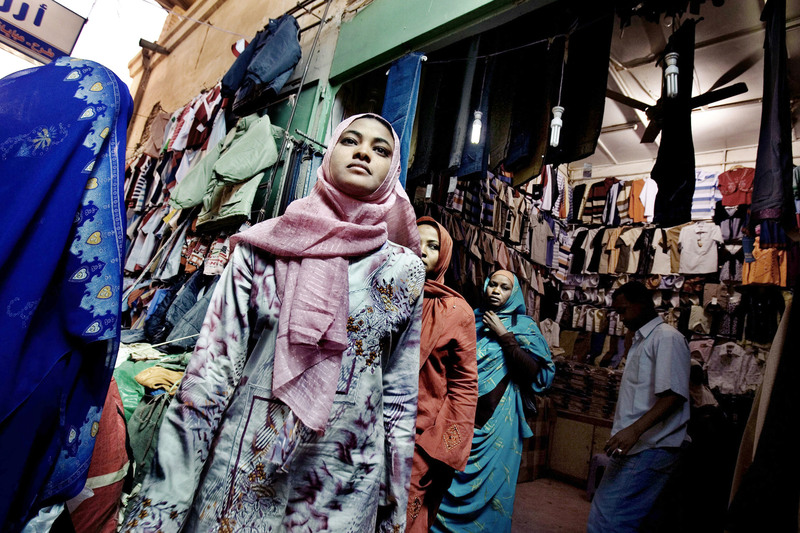 Sudanese woman shopping in the Omdurman Souq. A model of the Al-Mogran Project at the VIP lounge at the airport. 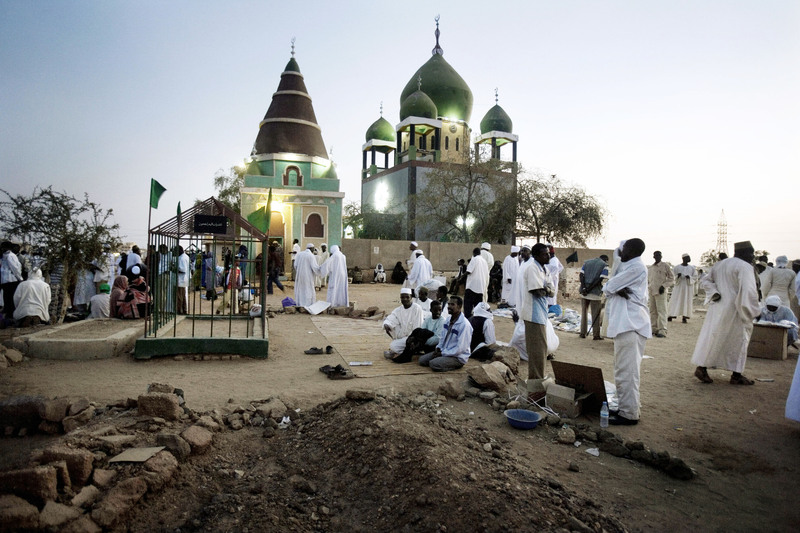 Sudanese Sufi from the Qadiriyah order chant and dervish during their Friday ritual at the Hamed al-Nil Tomb. 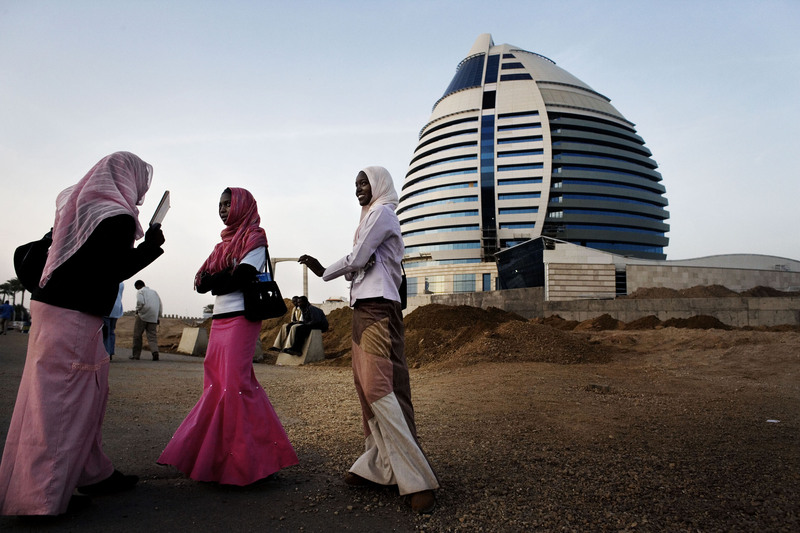 Three Sudanese girls stand near the construction site of an innovative building shaped like a boat sail that will host a new hotel built by a Lebanese company. 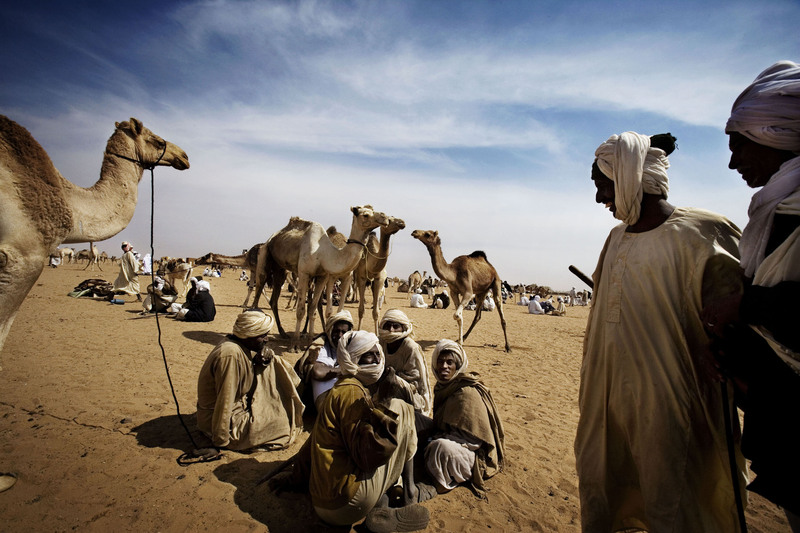 Sudanese camel sellers seated at the Camel Market, central to the Sudanese traditional economy on the western edge of Omdurman in Khartoum. 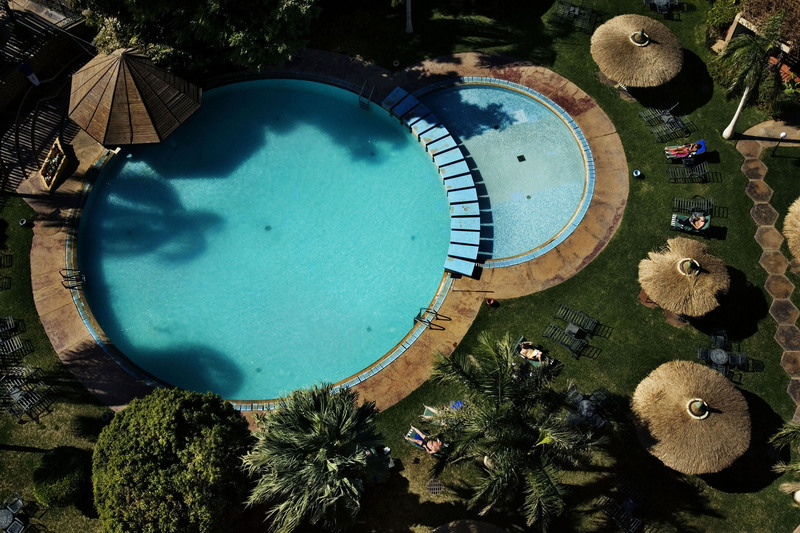 Guests of the Hilton Hotel enjoy the swimming pool. 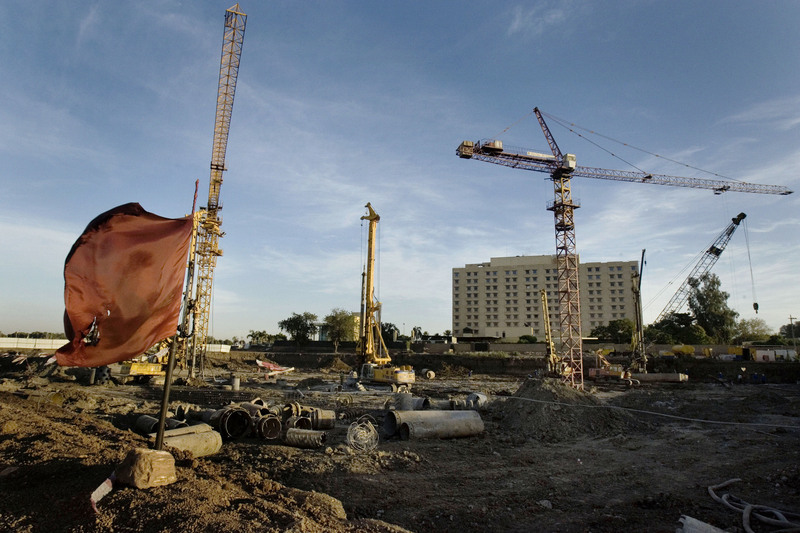 The construction site of the Al Mogran Project in front of the Hilton Hotel. 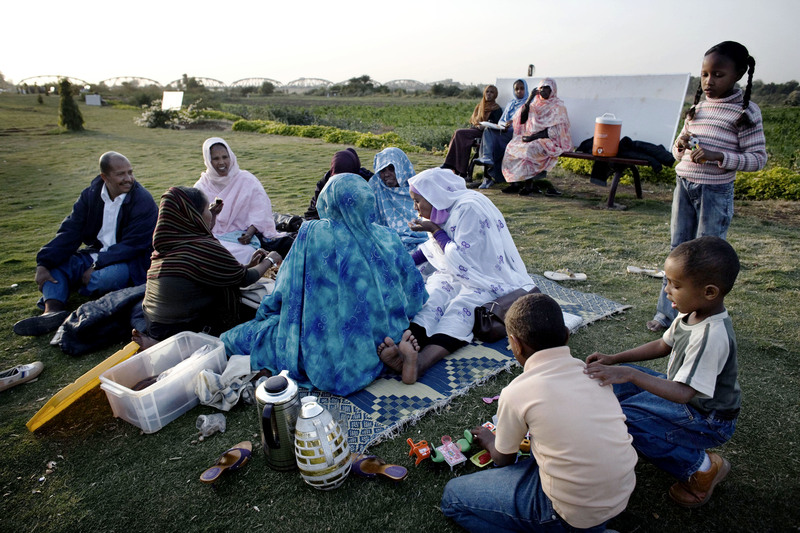 A Sudanese family enjoys a picnic in a park along the Nile promenade. 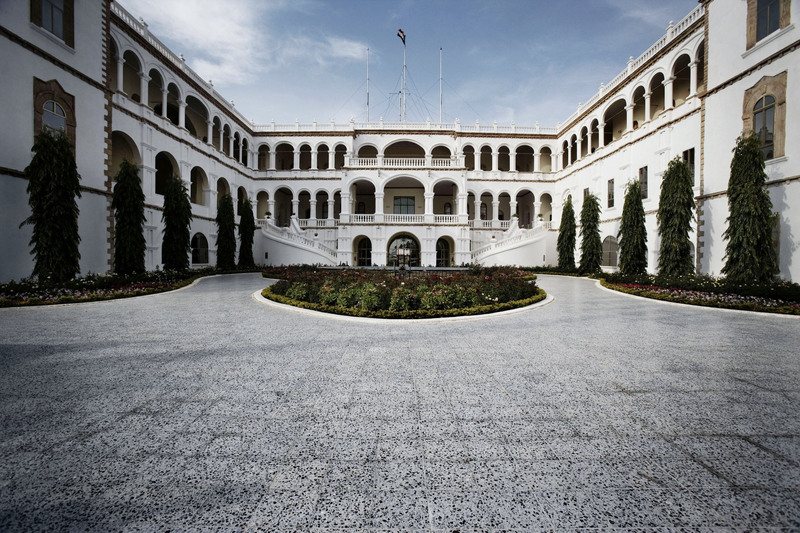 The Parliament of the Khartoum State lit on a public holiday. 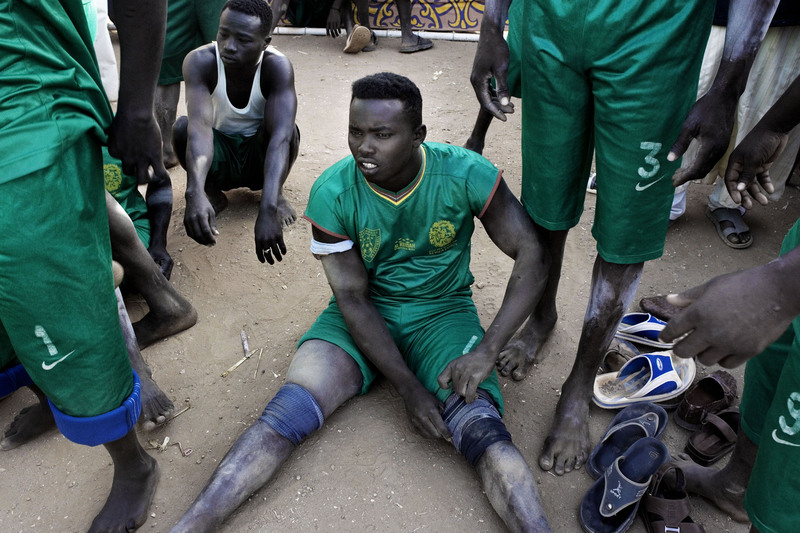 Sudanese athletes warm up prior to a match of Nuba wrestling, one of Sudan’s national sports, central to the Nuba culture in the district of Haj Yusef on the eastern edge of Northern Khartoum. 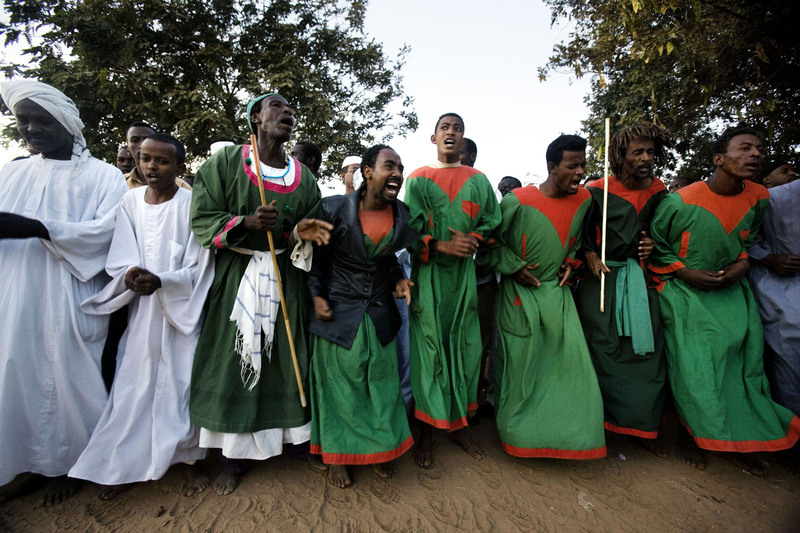 Sudanese Sufi from the Qadiriyah order chant and dervish during their Friday ritual at the Hamed al-Nil Tomb in Omdurman, Khartoum. 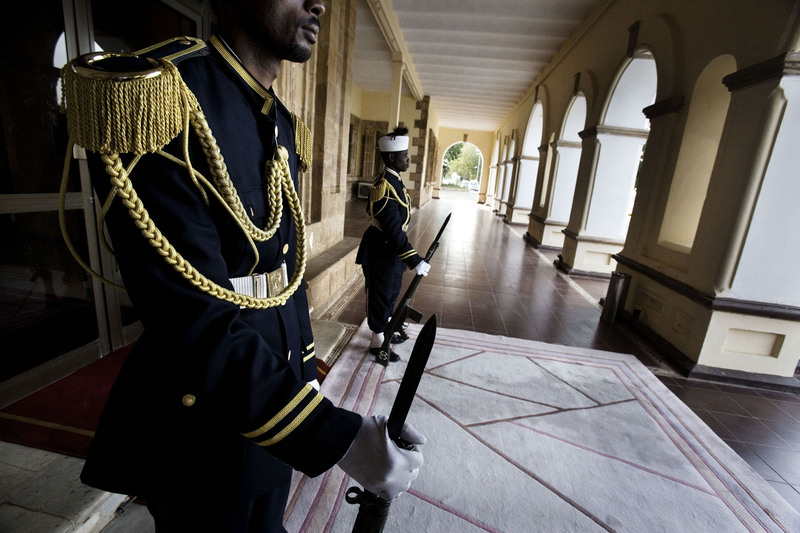 Sudanese Presidential Guards stand on duty at the entrance of the Sudanese Presidential Palace. 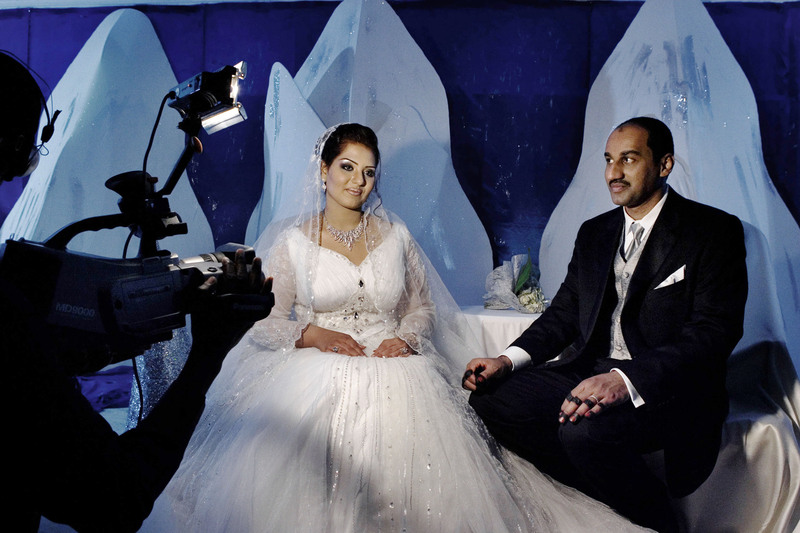 Samah AbdelMalik Elberier (L) belonging to one of the richest Sudanese families, the Abdelmalik and Ahmed Abdallah AlHaj Musa (R) pose for a video at their wedding at the Riviera Hall in Omdurman. 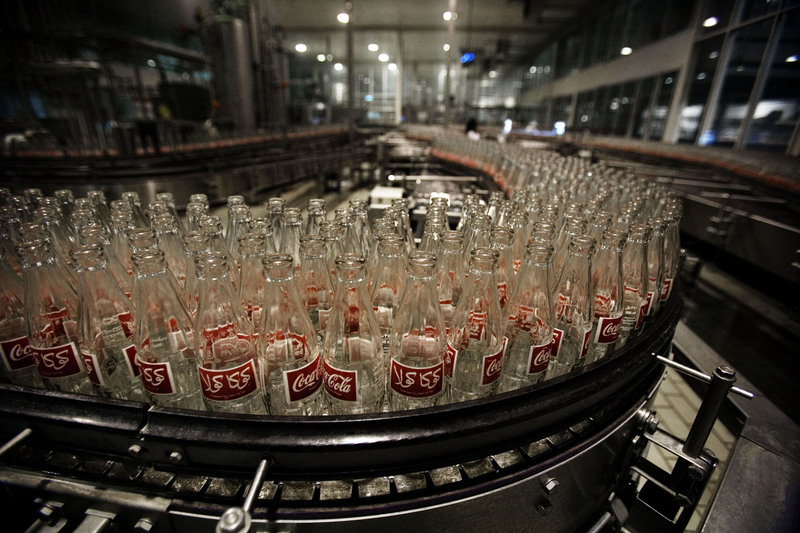 Bottles of Coca-Cola on the production line at the Coca-Cola bottling company, owned by the Dal Group, the first industrial group of the country. 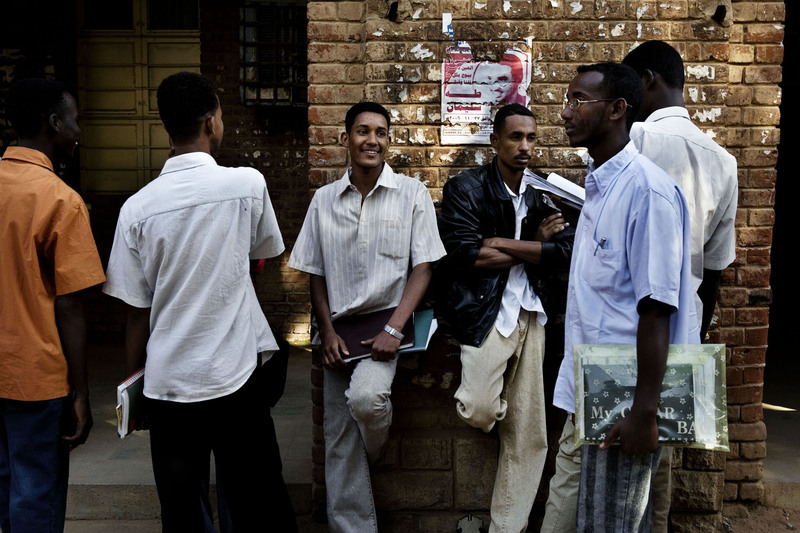 Sudanese university students during a break in between classes. 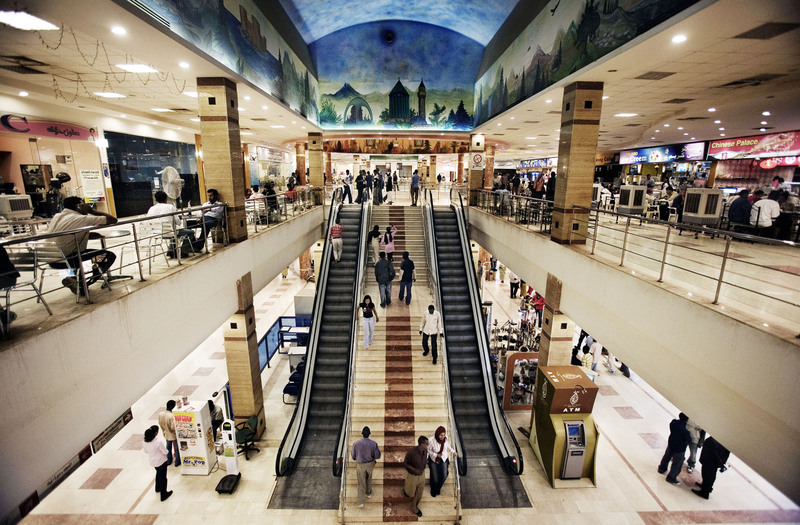 An indoor general view of the Turkish/Sudanese owned Afra shopping Mall. 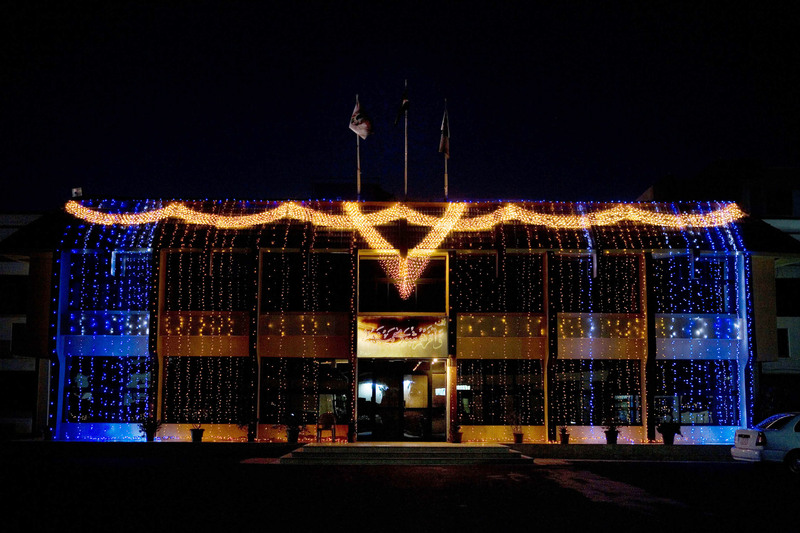 Afra Mall is the first shopping mall in Sudan. Opened on February 21, 2004, the mall has an area of 30,000 meters square with an indoor and outdoor parking facility, as well as an outdoor children’s playground. Afra Mall features department stores, a hypermarket superstore, 3 movie theatres, food court, Internet cafe, pool tables and a bowling hall. Stores features footwear, clothing, electronics, beauty salons, currency exchange facility, while the food court offers diverse menus including Middle Eastern, Chinese, Turkish and Italian food. With economics sanction, all transactions are handled in cash with no room for credit card or checks. 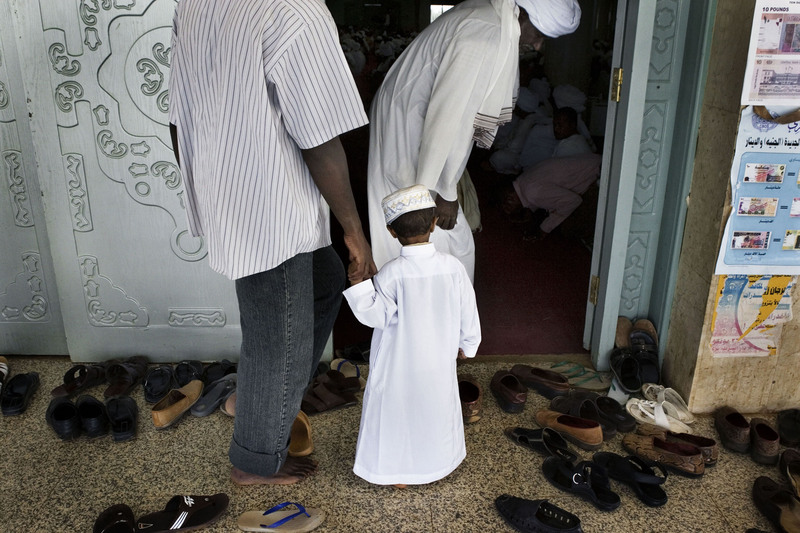 A Sudanese father and his child enter the As Sayed Ali Mosque to attend the Friday prayer. 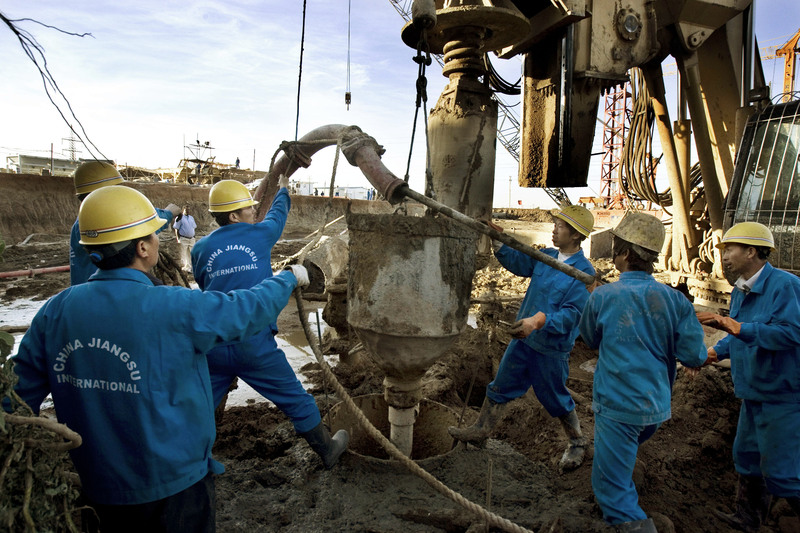 Chinese workers at the construction site of the Al Mogran Project. A general view of the city center and the As Sayed Ali Mosque (R) with an innovative building (L) shaped like a boat sail that will host a new hotel built by a Lebanese company. 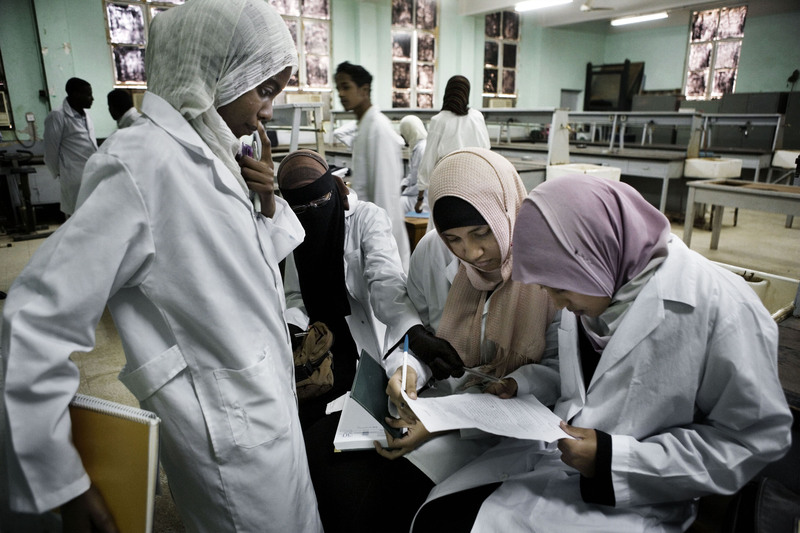 Sudanese university students from the faculty of medicine during a laboratory class. 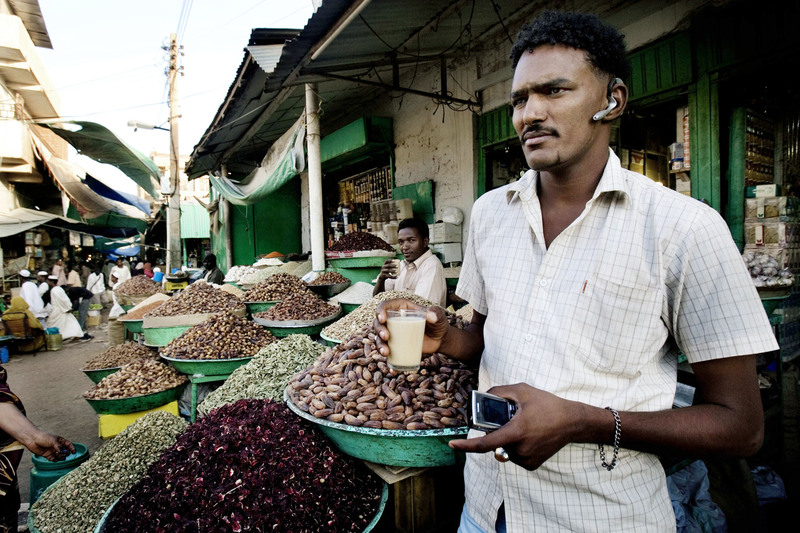 A seed trader in front of his shop with a Bluetooth auricular drinks a tea in the Omdurman Souq. 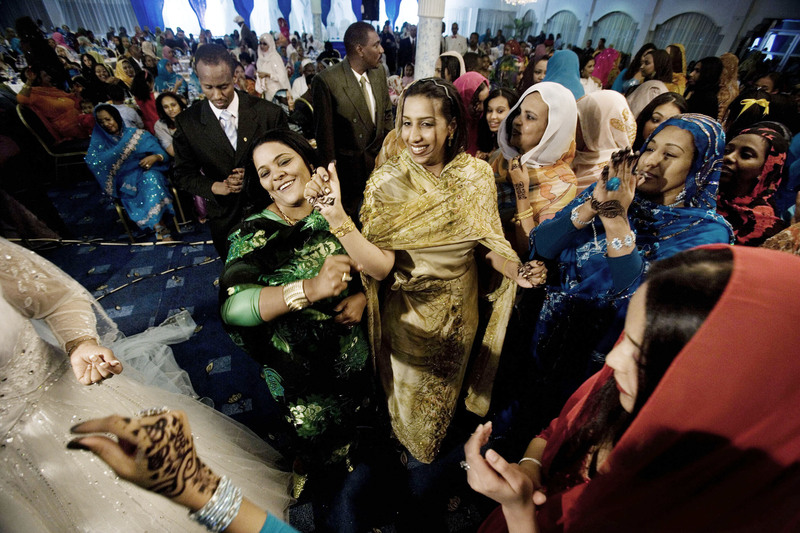 Guests dance at the wedding of Samah AbdelMalik Elberier, belonging to one of the richest Sudanese families, the Abdelmalik and Ahmed Abdallah AlHaj Musa, at the Riviera Hall in Omdurman. 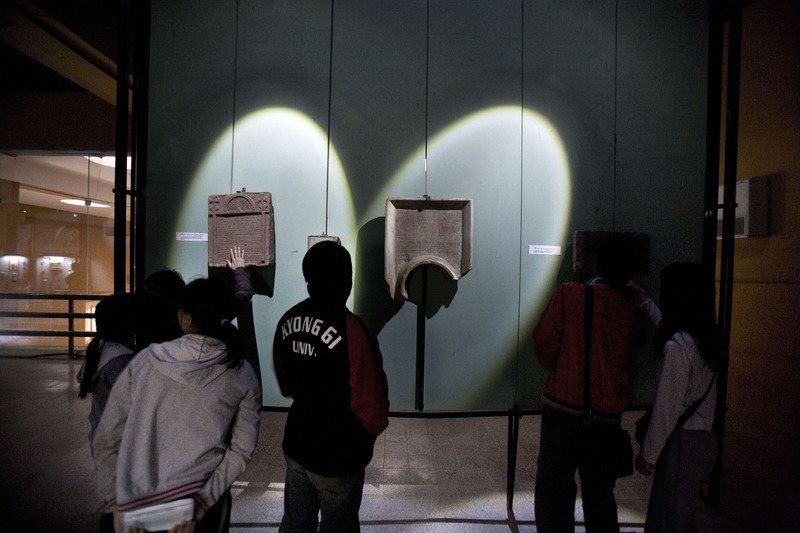 A group of Korean Tourists visit the National Museum of Sudan, which highlights the Nubia Christian frescoes. 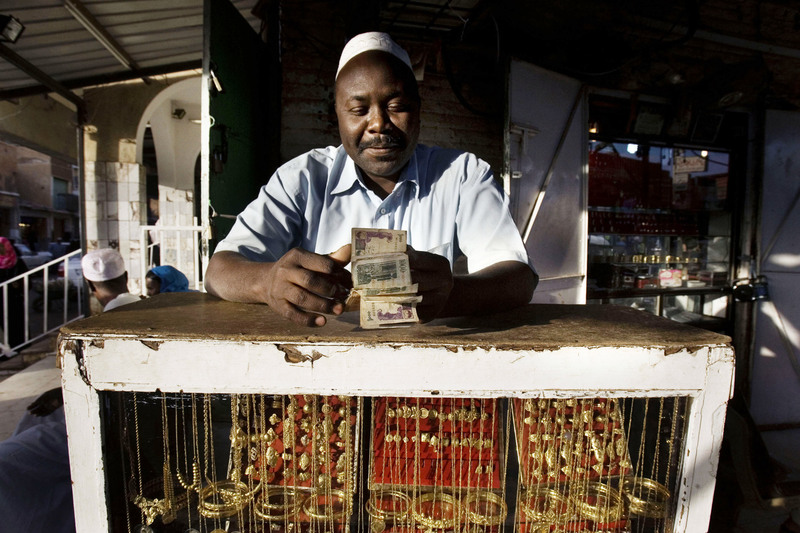 A Sudanese gold trader counts money at his shop in the Omdurman Souq.